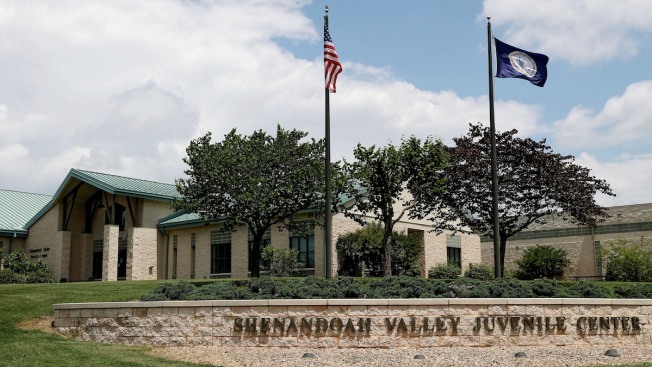 The Shenandoah Valley Juvenile Center is shown Wednesday, June 20, 2018 in Staunton, Va. The U.S. government is using the juvenile detention center in western Virginia to house dozens of young immigrants who crossed the border illegally. Virginia's two Democratic senators asked the Trump administration Friday for answers about operations at a juvenile detention facility in the state where immigrant children said they were bound, beaten and isolated in solitary confinement. Officials at the Department of Health and Human Services, which includes the Refugee Resettlement office, have refused to discuss when they first learned of the abuse allegations at the Shenandoah center and whether any action has been taken to determine the veracity of those claims. "HHS takes seriously the responsibly of ensuring the care of unaccompanied minors by our grantees," said Ryan Murphy, a spokesman for the agency, referring to facilities that receive federal money to house immigrant children. Hours after AP's initial reporting Thursday, Virginia Gov. Ralph Northam, also a Democrat, directed the state's secretary of public safety and homeland security and the Department of Juvenile Justice to report back to him "to ensure the safety of every child being held there."